DID YOU KNOW?? The United States has not passed a major federal law to regulate the safety of ingredients used in personal care products since 1938. Over the past 2 decades, the European Union has banned more than 1,300 chemicals in the product formulas of personal care products and restricted the levels of over 250 more in such products. The United States has only partially banned 30 to date. I have personally worked with & tested hundreds of patients on their beauty products (hair, skin, nails, body, make-up, etc) and can attest to the damage these things are causing to our overall health. I prayed. I did my own research, checked the ratings of several lines on the Skin Deep website, and concluded that BeautyCounter is the cleanest, most honest & comprehensive beauty/skin care line I have found!! AND it works. After using their smoothing shampoo/conditioner/oil, I no longer have "frizz" or need for layers of other hair products. I no longer use concealer because my skin is so much clearer (and I'm guilty of sleeping in my make-up - don't judge me!). BeautyCounter doesn't require autoship, they have a 60-day return policy & our missions align. When it came time for ​me to switch from my formerly beloved Bare Minerals that I had used for well over a decade (thinking it was "natural-enough"), I was not going to take the plunge and switch over my make-up, hair & skin regimen (you know how big of a deal that is!!) until I found the best of the best! Click here to shop, research & see for yourself. 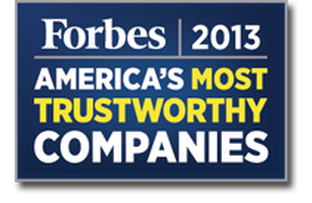 ﻿Nature’s Sunshine Products (NSP) is 1 of just 4 companies in the entire "pharmaceuticals" category to make it on the Forbes' most trustworthy companies list! Dr. Jana has used this product line since 2008 for many reasons. With well over 600 nutritional products to choose from, including hundreds of proprietary formulas, you simply can’t find a better selection of quality natural health products (herbs, cleanses, essential oils, flower remedies & much more), at wholesale pricing, with this kind of quality, potency & purity. NSP's standards go FAR beyond organic. EVERY ingredient and batch is tested down to 1 drop of impurity in 20 olympic-size swimming pools! Watch the video below to learn about our SureSource Guarantee, or click this link to learn more about our 100% Authentic Essential Oils. 1. Choose: LEGACY Account to get wholesale cost. **TEXT: "NSP" to 22403 to stay updated on specials & health education. *If you are spending $100+/mo on health products, switch over to Nature's Sunshine - this is THE BEST bang for your buck. After 9 months you get 25% rewards dollars on every dollar you spend! Shop in 1 place for your whole family & get rewarded for it! All products are 100% pure, organically grown & MADE IN AMERICA! !